NOTE: This post is sponsored by Simon Say Stamp! Thanks, Simon! Hello, all! Today I have some clean and simple (and fun!) 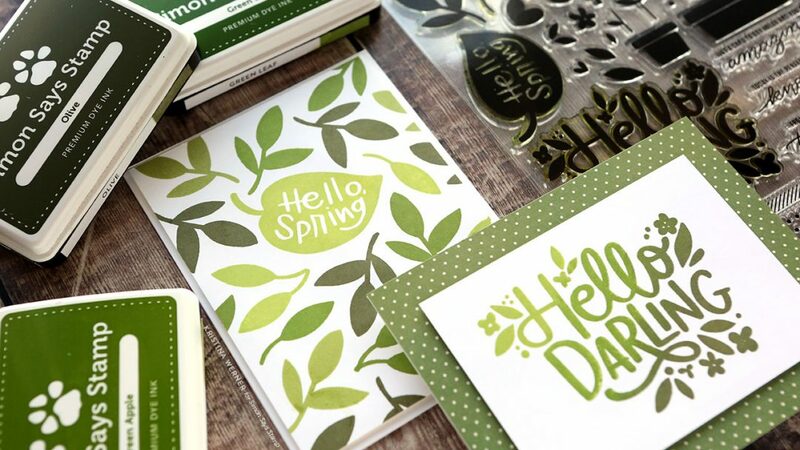 inspiration for you using the Simon Says Stamp April 2019 Card Kit. 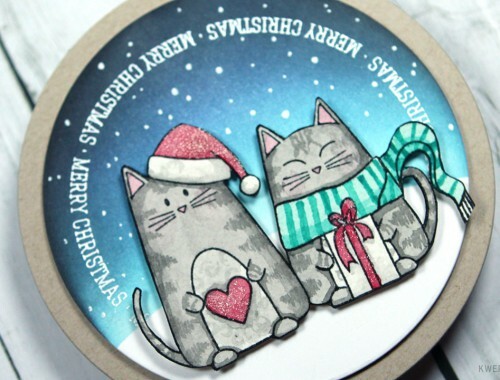 These two cards use only stamps, ink, and paper! Simple and quick! While more complex cards can be fun, I love “back to the basics” cards like this, too! Plus, since today is St. Patrick’s Day, let’s play with green inks! 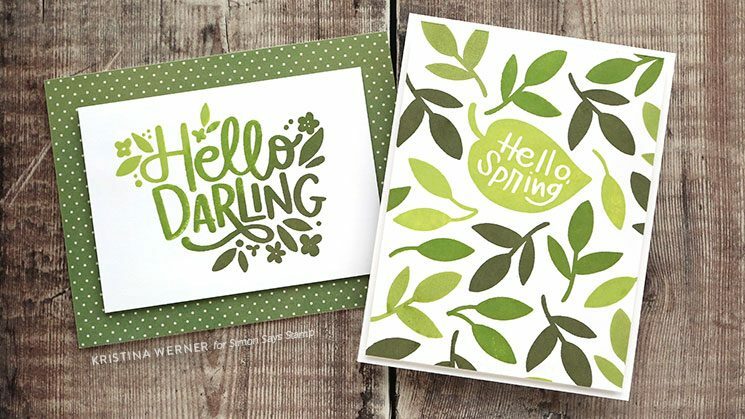 I used the Hello Darling stamp set from the kit and three colors of Simon ink for my cards: Green Apple, Green Leaf, and Olive (which is actually discontinued–I’d recommend Altenew’s Moss ink for a similar color). I did simple cluster stamping on the first card and alternated the ink colors of the leaves. 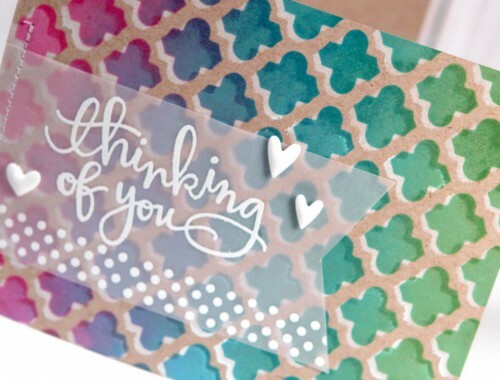 For the second card, I did multicolor stamping. You can picked up the April 2019 Card Kit HERE, or subscribe to receive this kit and future kits HERE. 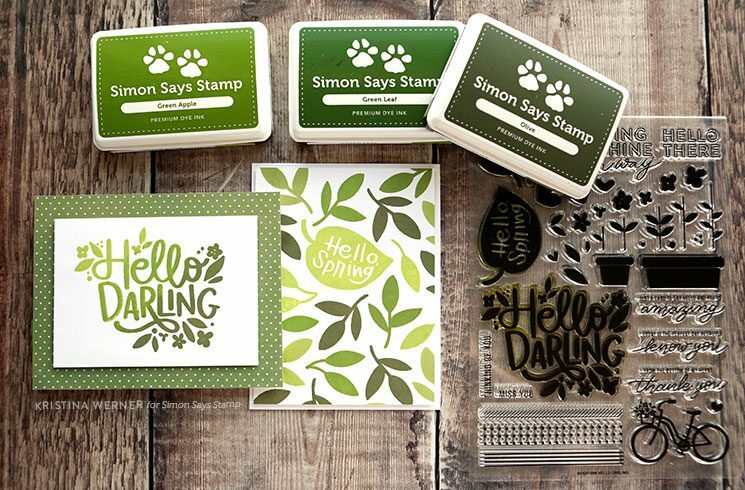 The Hello Darling stamp set is also available separate from the kit HERE.